A railway accident, which caused a profound sensation throughout the kingdom on Christmas Day, occurred on the Great Western Railway on Thursday week, a few hundred yards from the village of Hampton Gay and close to Shipton-on-Cherwell, near Oxford. The train contained a large number of passengers, most of whom were visiting friends for the Christmas. They were being conveyed in 13 carriages and two engines, from the Great Western station at Oxford, at 11 40 to Birmingham and the north. The train, which was half an hour late, proceeded safely about six miles, when the tire of the wheel of a third class carriage broke, and immediately left the metals, and for at least 300 yards plunged along over the sleepers, many of which were cut in two, and rushed over a wooden bridge across the river Cherwell. Between this bridge and a similar bridge over the Oxford and Birmingham Canal the carriage was thrown down the embankment, as was evident from a deep sear cut in the ground, and dragged after it several others it was here that the accident occurred. The train was going at the rate of 40 miles an hour, and the impetus given to the carriages as they left the rails carried them with terrible force for a long distance until they were finally dashed to pieces in the meadows below. Three carriages and a luggage van were deposited beyond the canal. One carriage carried away one of the stone abutments of the bridges and fell in splinters into the water. The fragments of two carriages, turned wheels upwards, were literally strewn about the embankment, and one carriage was hurled right across the up line on to the bank. The front part of the train continued its course for some distance. There can be no doubt whatever that in the case of the majority of the victim’s death was instantaneous. The overturned carriages, the heart-rending shrieks of the injured, the dead bodies seen in all directions, and the scattered luggage, combined to render the spectacle horrible in the extreme. The more slightly injured at once set to work with praiseworthy alacrity to help their distressed fellow travellers. Large fires were lighted along the embankment from the broken carriages, and hither the wounded went in dismal groups, whilst others sat disconsolately in the snow, apparently overcome with the magnitude of the disaster and their own providential escape from a fearful death. The sad Occurrence was witnessed from the Hampton Gay paper mill by the workmen, who apprised their master, Mr Pearson, of it; and the mill was immediately stopped and they proceeded to the spot, about a quarter of a mile from the mill. Mr Pearson and his men at once proceeded to rescue the sufferers, some of whom they conveyed as fast as possible to the manor house at Hampton Gay. Owing to the distance, however, from this place, great difficulty was experienced by Mr Pearson in removing them, while hardly any assistance was sent, to him from the neighbouring stations, two of which were within sight of the accident. At the earliest opportunity, telegrams were despatched to Oxford and other places for medical assistance but here, again, there was considerable delay, and it was about an hour and a half before a doctor appeared, Mr Mallam, surgeon, of Oxford, being the first on the spot. He was followed by others, all of whom were most unremitting in their attention to the unfortunate sufferers, whom they caused to be conveyed in a special train as quickly as possible to the Radcliffe Infirmary at Oxford etc., The scene at the Oxford station was most exciting, as it had become known throughout the city that a dreadful accident had happened and hundreds of persons presented themselves in the fear that relatives and friends had been victims. Most of the wounded and dying were conveyed without loss of time to the Radcliffe Infirmary, while others were sent to New College, Jones’s RadWay Hotel, the Randolph Hotel, the King’s Arms Hotel, &c., where they received the best, medical assistance. At the infirmary, 50 patients were counted, of whom most are known. Some wonderful escapes were mentioned in Oxford, and among them is that of a gentleman sitting with his nephew between his Knees, who was unhurt, while the young man was killed. In a compartment containing 11 persons, five of whom were relatives, the latter are said to have escaped totally, while of the remaining six none survived. Two ladies were thrown on the up line out of a carriage, which was immediately shattered to pieces. The work of extricating the dead and wounded from the rubbish was a most difficult and painful one. Not only were they got out one by one, but by threes and fours, and underneath the fragments of one carriage no fewer than 13 dead bodies were found. One man was jammed into the ground across the loins by the buffer of a third-class carnage, and it was three hours before the fragments could be raised sufficiently to extricate him. As the bodies were removed from the wreck they were placed on the side of the line, and were then conveyed on hurdles and other extemporised biers to a shed adjoining the paper mill. Here in an hour or two lay a row of dead bodies; some mutilated beyond description, from the old man to the child of tender years. The dead were carried across a ditch, over which the side of a carriage served as a bridge, and in the shed above alluded to the shocking task was performed of searching the bodies with a view to identification. Lord R. Churchill and several ladies from Blenheim Palace, with a Christian feeling which entitles them to the heartiest gratitude, administered nourishment and stimulants to those who stood in need of them. The canal bridge, curious to say, although carriages have been hurled right and left of it is still standing, but its timbers have sustained a fearful shaking. While the work of getting out the dead was in progress, a well-dressed man attempted to steal the watch of a gentleman, and, being detected in the act, he was roughly treated by the crowd. He was safely handed over to the custody of the police and locked up. As darkness fell upon the scene the exertions on the part of the workmen were suspended for the night. The repairing of the line was, however, actively proceeded with. 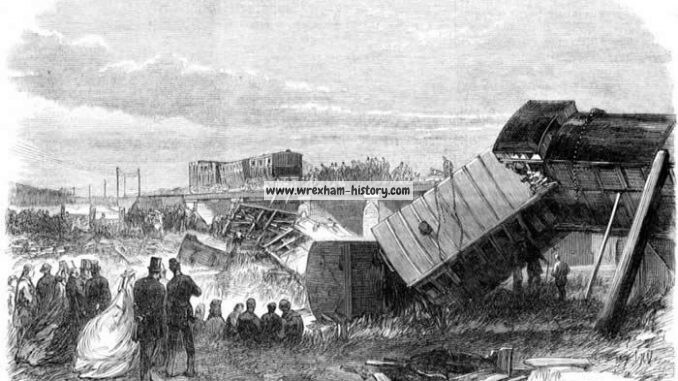 The greatest excitement was exhibited on the whole of the Great Western system north of Wolverhampton when it became known that the accident had occurred. Owing to the telegraph communication being blocked no precise information as to the accident could, however, be ascertained that evening. The non-arrival of through trains was sufficient proof to the officials that an accident had occurred, but the majority of the public north of Birmingham were kept in ignorance of the true facts until the arrival of the papers on Christmas morning. All along the line crowds of passengers assembled on the platforms at the stations on the look-out for friends, and making anxious inquiries of the officials as to what had taken place. All newspapers coming to hand were eagerly sought for, and the newsmongers found their supplies nothing like equal to the demand. 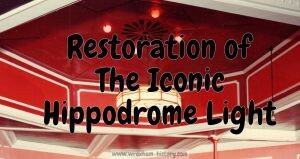 At Ruabon considerable excitement prevailed when it became known that in the ill-fated train were several persons bound on a visit to friends in the neighbourhood. Some of the injured bound for the district continued their journey on the Thursday night, and were forwarded from Oxford via Worcester. Amongst the number was Mr Edward Crutchloe, of Barton, London, who, in company with his little boy, were about to pay a visit to his friends, who reside in Oswestry. He is suffering from severe injuries to both shoulders. He stated in answer to inquiries that he could not give much account of the accident owing to being stunned and confused. He was travelling with his son in a first-class carriage in the train referred to. There were two gentlemen, one of whom was a Frenchman, in the same compartment as himself they got along very well until after passing Oxford. The first thing he noticed wrong was the jolting motion of the carriage; next they appeared to be dragged along, the carriage being off the metals. Immediately afterwards the carriage turned over on its side. Mr Crutchloe was stunned, and upon coming to himself found that, together with his little boy, they were lying at the bottom of the carriage. The Frenchman escaped without injury, but the other occupants were less fortunate; one gentleman was cut badly. Mr Crutchloe son, as well as himself, was badly hurt. After a time a porter went to their assistance, but they were not extricated until the top part of the carriage was removed. Mr Crutchloe found that he was I able to walk with a little assistance, and he and his son were then wrapped up in rugs and placed on the side of the line. He remarked that the scene at this point was something terrible, and it appeared to him that with one or two exceptions the whole of the carriages in the train were smashed. Most heartrending were the cries of the injured, who in many instances called upon the more fortunate passengers to assist them out of the wreck. After lying on the side of the line for some time he with others were attended by a surgeon, and subsequently they were taken back to Oxford. Finding that he was able to continue his journey he was conveyed with his son and numerous others in a special train via Worcester to Wolverhampton, here they arrived about ten o’clock at night. On this part of the journey the injured persons were kindly attended to by a surgeon who resides at Wednesbury. Later on they proceeded to Oswestry, which place was reached between two and three o’clock in the morning. Both Mr Crutchloe and his son were removed to his brother’s house, and Mr Sides Davies, surgeon, called in attend them. Although both are at the time of writing confined to their beds, they are progressing favourably. Another of the injured passengers was the Rev. J. Book, vicar of Moreton, Oswestry, who was returning home. When it was known on Christmas day that the rev gentleman was in the unfortunate train, quite a gloom cast over the parish in which he resides, and many and anxious inquiries were made after the worthy vicar. When tidings reached Wrexham of the disaster the greatest excitement prevailed, and the station was besieged by persons anxious to know if their friends were sufferers. No authentic news was however received until a late hour notwithstanding the exertions of the stationmaster (Mr Fryer). On Christmas Day the newspapers were quickly bought up and many were compelled to wait until Saturday for particulars of the accident. The following were among the 35 killed:—Mrs White wife of Mr White, Little Knolton Hall, Mr J E. Richards, surgeon, The Fennant, Ruabon; Mr J. T. Hughes, barrister, The Fennant, Ruabon Mr T. T. Pilkington, O E., Wrexham Mr J. A. Pilkington. Wrexham; Miss Jane Pearson. Shrewsbury Miss Barker, of Brymbo; and Mr Humphrey Williams (who was on his way to Dolgellau). In the list of the injured are the following: – Miss Barker (sister of the above-named) .daughter of Mr Barker, of Brymbo. The two sisters were returning from London to spend the Christmas at home. The younger of the two lost her life, and the other is in a precarious condition in Oxford Infirmary. She is suffering from a fracture of the base of the skull and a broken arm. She occupied a respectable position as school- mistress at Plumstead, London. At midsummer last she came over for the holidays, and on returning she took with her a little sister, eleven years of age. The Rev. J. Hook was taken to the Radcliffe Hotel, suffering from dislocation of the collar bone and fracture of one rib. He is progressing favourably. 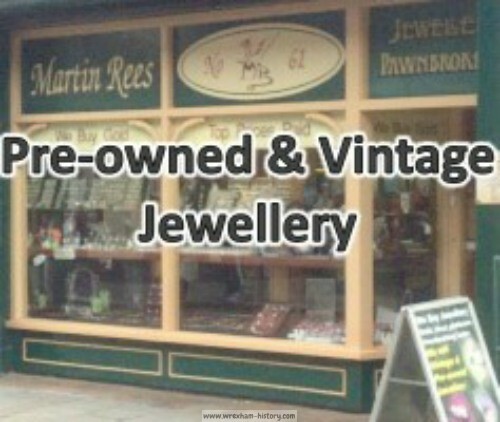 Mr O. Perrott and Miss Perrott, son and daughter of Mr E. S. Perrott, Bronhyddon, Oswestry, escaped with a few cuts only. Mr Perrott was very active in assisting to rescue the passengers, and to carry away the dead bodies. A daughter of Mr Green, of Cockshutt, who was on her way home from London, was injured. She is at home and progressing favourably. A son of Mr Griffith Jones, Bala, was also injured. It is said that the youthful Lord Kenyon was a passenger in the train, but he escaped without harm. Several others from this district were injured by the accident. The gloom which overshadowed the Christmas celebration, consequent on this terrible accident, has been largely shared by Wrexham and its immediate neighbourhood, furnishing as it aid a liberal quota of victims to the holocaust. Much sympathy is felt for the family of the late Mr Pilkington, of Chevet Hey, who was well known and much respected in this district. The deceased gentleman was by birth a Scotchman, and by profession a civil engineer. He was descended from a noble ancestry, having several titled relatives, his great grandfather on the mother’s side being the sixteenth Earl of Duncairn. Mr Pilkington had resided in Wrexham during a number of years, and had taken some part in its public affairs. For three years he was a member of the Town Council, and he had recently been appointed chairman of the Stansty School Board. As an engineer, he planned and superintended the construction of the Wrexham waterworks, and subsequently carried out very successfully the water works scheme at Ruthin, where he was well known, and where the intelligence of his untimely end created a most profound sensation. Latterly he had been engaged it planning a railway system for the island of Corsica in the Mediterranean, and in furtherance of that object had paid several visits to the island. His professional pursuits of necessity made him a frequent traveller. 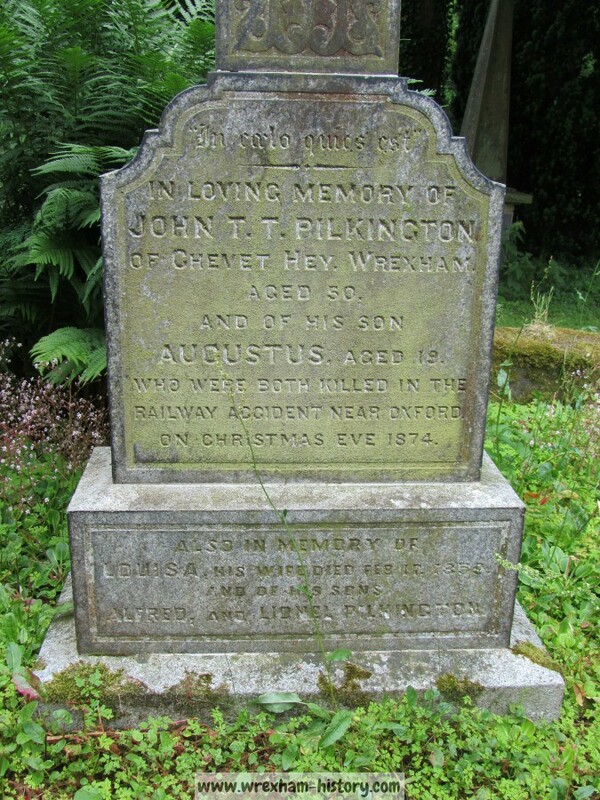 Mr Pilkington was returning home in the ill-fated train with a son by his first wife, Augustus John Cameron Pilkington, a youth of 19, who was a midshipman in the merchant service. There were to be great rejoicings at Chevet Hey this Christmas, for, in addition to the ordinary festivities, the eldest daughter of the deceased was to have been married. Great preparations had been made for the wedding, and the sailor boy was journeying to Wrexham with his father in order to be present at his sister’s nuptials. The awful suddenness with which father and son, in common with many of their fellow- passengers, were launched into eternity has been already fully described, and most of our readers are tolerably familiar with the details of the sad catastrophe. 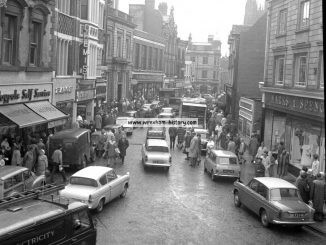 Intelligence of the fate of Mr Pilkington and his son reached Wrexham with the morning papers on Christmas Day, and the grief of the bereaved wife and children, as well as the sensation created in the town, may be better imagined than described. The same evening, Mr William Low, junior, and Mr Marsden Low, a surgeon, sons of Mr William Low, of Roseneath, to whom Mr Pilkington was related by marriage, his first wife being a sister of Mrs Low, proceeded to Oxford to identify and claim the bodies. 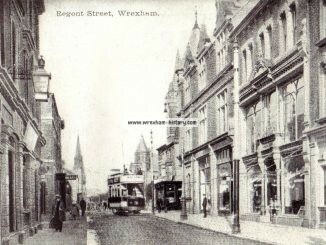 About two o’clock on Saturday morning the bodies arrived at Wrexham station, and were conveyed to the residence of the deceased. From the absence of any external marks of violence, it was evident that death had resulted from some internal injuries. The countenances of the deceased had undergone no perceptible change since the accident and from the placid appearance of their features they appeared more like persons in a deep sleep, and had evidently passed out of existence almost without a struggle. The face of the youth did indeed show cuts, but they were merely superficial and not in themselves sufficient to account for death. It has been reported that Mr Pilkington’s face bore evidence of his having received a heavy blow in the temple; but this is an error. There was no scar of any description either upon the visage or about the head, though the forehead was swollen and reddened as from a sudden effusion of blood to the head, which, in the opinion of Dr. Williams, who examined the bodies, was in his case the probable]e cause of death. 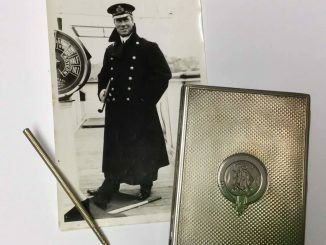 The deceased, of course, wore the clothes in which they were attired at the time of the accident, the sailor being dressed in his naval uniform. It is somewhat remarkable that the clothing was not in the least disarranged or torn or soiled, their shirt-fronts appearing as spotless as when their under-garments were first put on. Mr T. C. Jones, who conducted the funeral, thought it a pity the corpses should be disturbed in order to be enveloped in the ordinary shrouds, and they were therefore placed in the coffins in the clothes they were wearing at the time of death. The wooden shells were placed in metallic coffins supplied by Mr Pierce, Bridge-street, Wrexham. On Wednesday, the remains of Mr Pilkington and his son were conveyed to Minera for interment. The funeral procession left the residence of the deceased about noon, and was com- posed of two hearses, two mourning coaches, and several private carriages. The two Hearses and eight bearers. 1st Mourning Coach – Master Charles and Master James Pilkington, sons of the deceased Mr Low, Mr Bell, brother of Mr Pilkington, and Mr Llewellyn Low. 2nd Mourning Coach -Mr W. Low, junior, and Mr Alfred Low. Mr Anderson, and Mr Rouse. Dr Davies’s private carriage containing Dr Davies and Mr Watkin Williams, M.P. Mr Low’s private carriage in which were Mr Turner, Mr Ainsworth. Mr Bull, of Oswestry, and the Rev F. B. Brown. In another private carriage, Mr Jones, of Ruthin, Mr Joyce, Mr T. C, Jones, and Mr William Pierce. A drive of about an hour and a-half brought the funeral to Minera Church. The bodies were met at the gate by the Rev, J. Williams, the officiating clergyman, and conveyed into the sacred edifice, where the burial service was read in a most impressive manner. The party afterwards proceeded to the grave, which was dug close by the place of interment of the first wife and one or two children of the deceased. As each coffin was lowered into the grave a wreath of camillas was placed upon the lid. A melancholy interest attaches to these flowers, as it appears they had been grown expressly for the marriage celebration. The ceremony was a very simple one, and was soon concluded, and the party then returned to Wrexham. The weather was intensely cold. Much sympathy is felt in Ruthin for the family of the late Mr Pilkington. 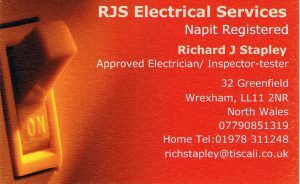 The new burial ground, Ruthin road, Wrexham, received the remains of two other victims on Thursday afternoon, Mr J. T. Hughes, of Fennant, Ruabon, and Mr J. E. Richards, his cousin. Mr Hughes was the son of the late Mr Hughes, of Fennant, and his cousin the son of the Rev Mr Richards, a former vicar of Rhosllannerchrugog and during whose time the present church was erected in that village. On the death of Mr Richards, his children were adopted by Mrs Hughes and brought up with her own. Young Mr Hughes had not long been called to the bar. The last time he attended at Wrexham in a professional capacity was at the Michaelmas Quarter Sessions, when he was prosecuting counsel in a case of salmon stealing and he also appeared as a junior in a case of assault that was tried at the same sessions, in which Mr Swetenham appeared for the prosecution, Mr Morgan Lloyd, Q.C., Mr Trevor Parkins, and Mr Hughes being retained for the defence. The funeral cortege arrived at the cemetery in the following order: – Carriage containing the Rev. J. Jones, vicar of Rhos and the Rev D. Williams, curate. Hearse conveying the body of Mr John E. Richards. Second hearse conveying the body of Mr John Thomas Hughes. First mourning coach containing Mr William Hughes and Mr P. Richards, brothers of the deceased Mr J. Edwards, Ty Broughton, Hanmer Mr J. Bateman, Hanmer. Second mourning coach containing the Rev. A. L. Taylor. Ruabon, Mr Charles Wright, Ruabon; Mr William Thomas, and Mr E. Smith, undertaker, Wrexham. Second carriage containing ten bearers. The bodies were transferred from the wooden shells in which they were conveyed from Oxford, to a metallic coffins, from the establishment of Mr Pierce, Wrexham. The Vicar of Rhos who has been most kind to Mrs Hughes and her family in their sad bereavement, read the funeral service. In consequence of the frost which succeeded to the partial thaw on Sunday last, the paths in the cemetery were coated with ice, and in a dangerously slippery condition. The authorities were applied to for a few ashes to be strewn upon the paths. Strange to say the application was refused, and Mr Smith was obliged to get sawdust put down before it was possible for the bearers to carry the bodies with any degree of a safety. Another fatal Ruabon case was that of Mrs v White, whose husband is butler to Mr Walker, of Knolton, a mansion in the neighbourhood of Overton. The unfortunate woman was on a visit to her husband, and entered the train at Oxford She at one time intended to bring her two children with her; but happily for the latter changed her mind at the last moment, and came alone on the journey which proved to be her last. Mrs Attree, widow of a brother of the wife of Mr Whalley, M.P., is lying in a critical state at the King’s Arms Hotel, Oxford, and also Miss Attree, who has a fractured arm. 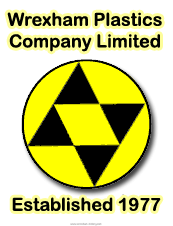 The late Mr Attree was a civil engineer, residing in Corwen, with offices in Cannon-row, London. He was a clerk to the Enclosure Commissioners.